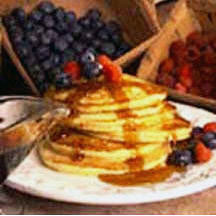 CooksRecipes has quality, kitchen-tested recipes for a variety of pancakes, made with multi-grains and whole wheat, that you can count on for successful deliciousness. 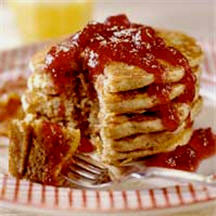 Begin a cold morning with a hearty breakfast of buckwheat pancakes and you're fortified to start the day. Serve these hearty egg and ricotta cheese pancakes with your favorite syrup or preserves, and/or toppings such as raspberries, strawberries, sliced bananas and pecans. 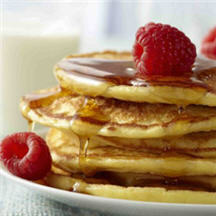 Whole-wheat flour and buttermilk combine to make a hearty but light pancake with a slight tang.